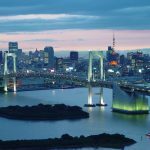 Sasakawa USA has a rich history of bringing people together who share a passion for and interest in the U.S.-Japan relationship. Students, professionals, and policy makers who have participated in one of our ongoing programs make up our alumni. Sasakawa USA hosts regular roundtable and networking events for alumni of the foundation’s programs. 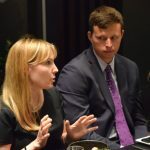 These events provide a forum at which alumni can engage one-on-one with featured experts and speakers on in-depth topics related to U.S.-Japan relations. Sasakawa USA’s annual alumni reunion provides alumni with the opportunity to re-connect and broaden their social networks with those who have been involved with Sasakawa USA in the past. 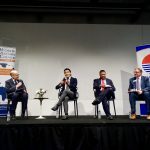 The annual event is designed to facilitate discussion on and promote a better understanding of U.S.-Japan relations and the Asia-Pacific region as a whole. 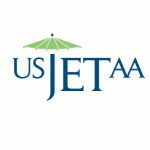 Sasakawa USA is pleased to partner with the US Japan Exchange & Teaching Programme Alumni Association (JETAA) to offer a mini-grant program. 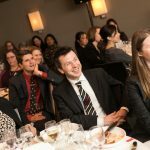 Through this initiative, small grants are awarded to JETAA Chapters and Subchapters in the U.S. to fund innovative activities that engage JET alumni in their communities and promote understanding and friendship between the U.S. and Japan. The Sasakawa USA In-Depth Research Trip provides selected alumni with an opportunity to return to Japan for a deeper understanding of common challenges in the U.S.-Japan relationship and build on the knowledge they gained from their initial delegation trip to Japan.